Are you looking for an adventure puzzle game, Lara croft Go is the answer. This game can be found in the windows store on a smart phone you legally, because this game is included in the Windows phone premium paid. This game is an adventure game in by Lara croft. The task is looking for a way out and look for something from inside the jungle, However they were hampered by a variety of Traps. If you are careful, you'll find and find the key to open the barriers in the meet. ... The key is a puzzle, that will help open the hurdles in the front the way of Lara croft. In terms of display are is good, because the 3D view looks smooth and soft. Fair enough if the game is the premium game. This game made by Square Enix Ltd.
You are on the website page WINDOWS MOBILE PHONE - setting and Upgrade. 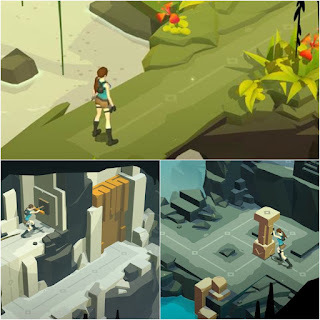 Lara croft GO With the link URL http://hand-uk.blogspot.com/2015/09/lara-croft-go.html for this articles, you can bookmark or share to any. Our expectation that Windows smart phone users, can understand and know about OS Windows phone. Lara croft GO Is a link for you, How to use the pure smart phone.